Later, if my audience is particularly interested, – this means you, Membership Circle – I’ll get around to the idea of reflection. But when I think about the impact of this organization on our everyday family life, I return again and again to the daily practice of reflection. Emerging research tells us that the more open and continuous our dialogue with kids, the better their skills at compassion and problem solving. I know what you're thinking. Sounds great, but in my house, conversations fall apart pretty quickly! Engaging in meaningful conversation can seem impossible. If kids are over-tired or hungry or yearning to be free, wrestling two words about their day (usually, fine, mom) can be a challenge. She'll smile, shrug, and run off to play, totally ignoring my question. She'll toss out a pat, predictable answer, and run off to play. She'll offer the most outrageous response she can think of, to move us off topic. Or she'll think for a moment, and hit me with an amazing observation, anecdote, or question of her own. At my house, about 1 in 4 attempts at meaningful kid conversations ends in a wow moment, and I'm here to tell you it's totally worth it! I'm sure you've seen glimpses - as I have - of the powerful insights children are capable of. It's our job to nudge kids toward these thoughtful conversations and to nurture the big-hearted instincts our kids already possess. Very rarely is a big-hearted conversation going to resemble the breathtaking moment we imagine, full of beautiful insights, sunbeams and lingering hugs. But if you're persistent and watchful, you'll catch more and more glimpses of your child's big heart, and eventually they'll even start a few big conversations all on their own. First, some ground rules for meaningful family discussions. Launching a big-hearted conversation is a bit like double-dutch jump rope. Your rhythms must be exactly aligned, or the game is likely to end in an uncomfortable tangle. If kids are over-tired, hungry, or distracted, they aren't likely to sit still for an interrogation (which, of course, isn't how you'll approach them, just how they will feel). In my house, the best conversations happen mid-morning on weekends, after breakfast and before the weekend adventures begin. Often, our best talks happen while their bodies are busy building blocks or drawing or walking through the park. One other important note about timing: don't be afraid of silence or long pauses. Pose a question, then listen. Patiently. After a bit, offer your own response, and ask for their ideas. Still no response? Let it go, and try again later. Even if you feel a bit offbeat, make an attempt to connect every day. Our questions below will help! Watch for that moment when your child is content, then scan our list of questions, and ask one you find inspiring. Be sure to listen, really listen. Be ready to dig a little deeper if their first response only scratches the surface. Repeat after me: Yes, and. Nothing shuts down a parent-child conversation faster than judgement. Take a lesson from one of the basic tenants of improvisational comedy. Never shut down or judge a child’s suggestion – even if their suggestion aims to rope you into bringing your pet kitten to school or invite the whole class home for a play date. (Both are actual suggestions I've heard this week!) Instead, follow that idea where it leads, ask new questions, and suggest your own answers in addition to rather than as replacements for their answers. In a pinch, just say "that's a fun idea" and move on. Be curious, be observant, be honest. Remember, you are the role model throughout this process. If you ask your child whether she noticed someone struggling today, be prepared to share something you observed during your day. The moment your children realize you are speaking openly with, as opposed to interrogating, them, they are more likely to hold up their end of the conversation. You know the rule: try, try again. Your conversations will frequently take a turn for the silly. Just roll with it and come back to big ideas at a different time. Your conversations will often end with a stunted response: here's the answer you were expecting, right? Simply, offer your own answer. Give them an opportunity to respond, and if your child still appears uninterested, try again tomorrow. The goal is practice and connection, not quotable pinterest inspiration. If you keep trying, you will notice a change in the way your child communicates. Enjoy these 29 discussion questions for big-hearted conversations with kids. Click the image to print a PDF of these quesitons! Did you get a chance to help anyone today? How do you think (your classmate) felt when (something happened)? What does it mean to have courage? Have you ever had to be brave? What would life be like if (someone specific, a friend in the car pool, a neighbor, a story from school) didn’t help you out today? Are you feeling sorry about anything that happened today? (Admitting mistakes shows kids that no one is perfect, and opens the way for them to share meaningful apologies). Today I heard about (something) on the news. I wonder how that experience would have felt? I wonder how we can help? How do you make yourself feel better when you feel frustrated or angry at school? What about bored or tired? Excited? Do you think your teacher ever feels frustrated, tired, or angry at school? How do you think s/he copes with those feelings? Can you imagine being a teacher at your school? A bus driver? A recess monitor? How do you think you would feel doing those jobs? Did you learn anything confusing today? Maybe I can help make sense of it. If you could set the lesson plan for tomorrow, what would you want to learn? What's the best thing about being a girl (or boy)? What's the hardest thing? Can you name something you love or think is special about our family today? Are there any new kids at school? How could we make them feel welcome? If you won a grand prize of $1,000, how would you spend it? If you won $1,000 and could not spend it on yourself or your family, how would you spend it? If you could only keep one toy, what would it be? If you could only keep one toy, to whom would you give the rest? Hungry for more questions? 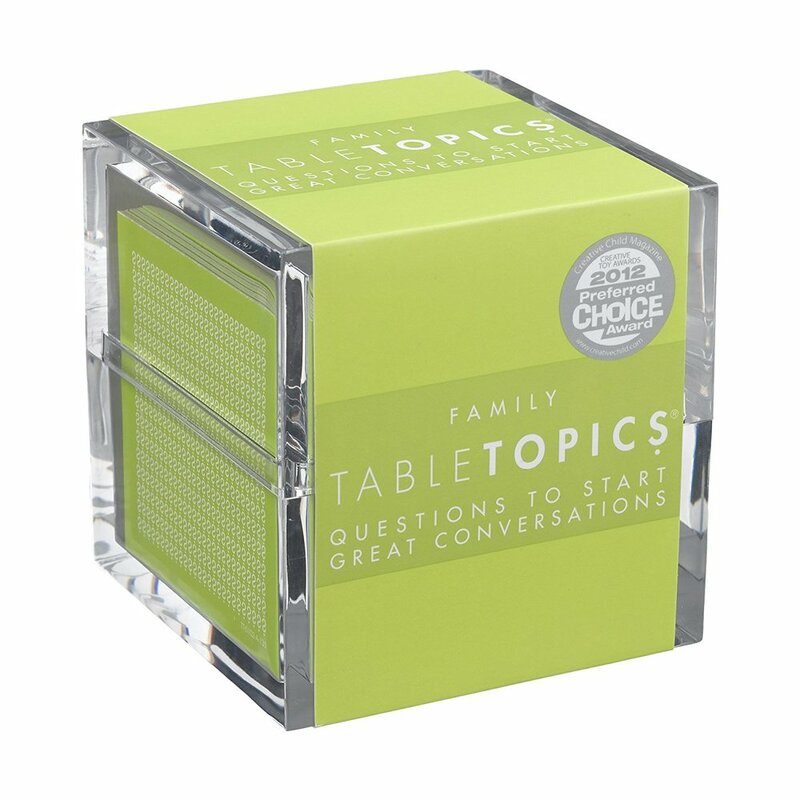 Check out Family Table Topics: Questions to Start Great Conversations. My family loves taking turns asking these thoughtful questions. We’ve used them at family dinners, on camping trips, and in the car. So get talking. You’ll be amazed at the impact it has, even if the result is messy, ends in a silly joke, or isn’t exactly quotable. 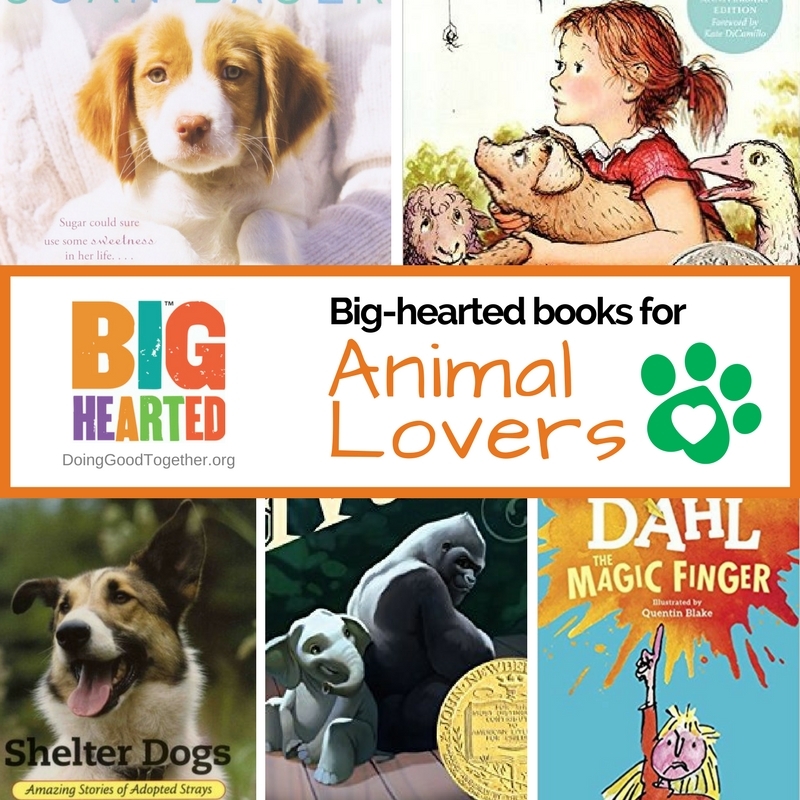 If you liked these big-hearted questions, you may appreciate our Conversation Starters for Any Story too. 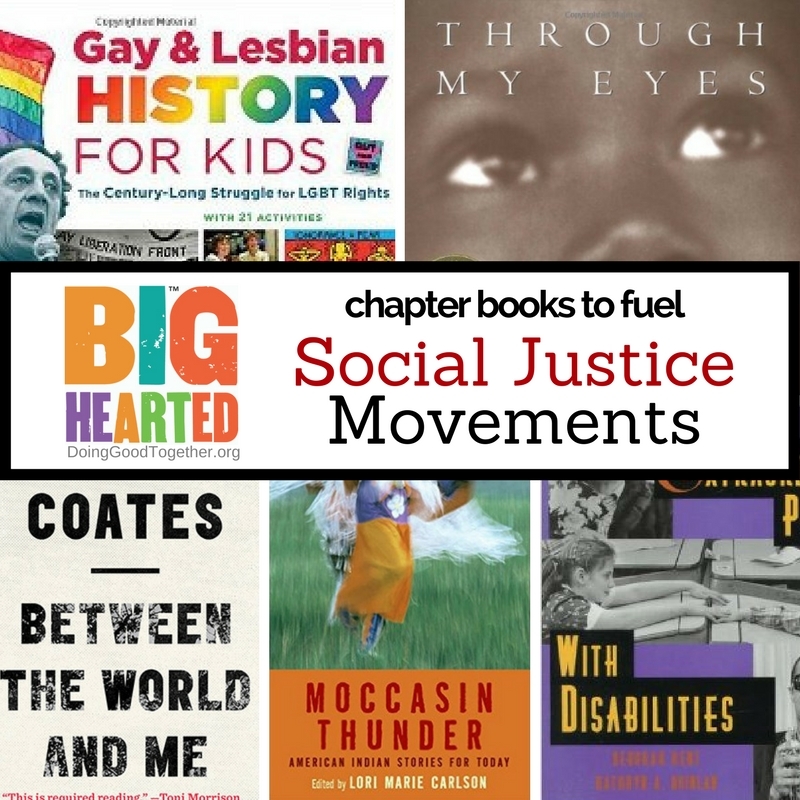 Browse our collection of chapter books perfect for launching big conversations.